Další informace Welcome to ROMASTOR, the inventor of the unique and original, 360 degree full and continuous Rotating Forks. 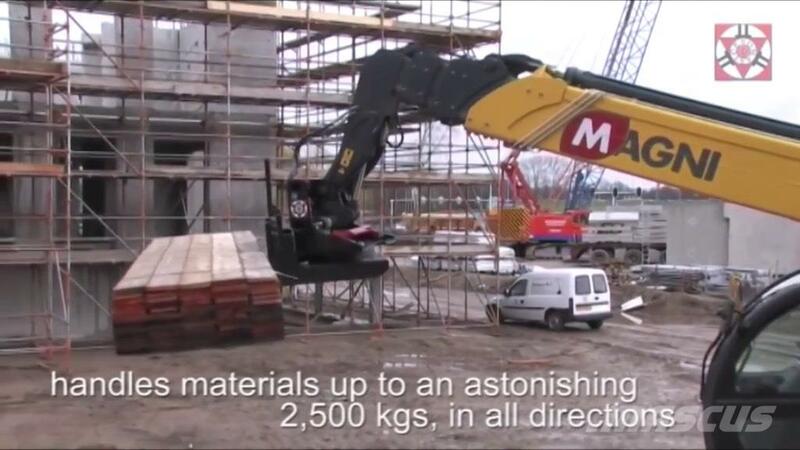 Suitable for all makes and brands, fixed as well as rotating telehandlers, also for your MAGNI! ROMASTOR is patented, CE-certified, TÜV type approved, homologated in combination with MAGNI telescopic handlers and comes with a declaration of conformity in accordance Annex 2 of the Machinery Directive (98/37/EC), user manual, test certificate, lifting capacity chart and 2-year limited manufacturer's warranty.